As a proud alumnus of James Madison University's College of Education Undergraduate and MAT Program, I would like to share some information about the program, and about the university. 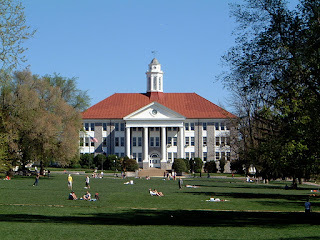 The mission of the James Madison University College of Education is to prepare educated and enlightened individuals who can skillfully contribute to the common good of society and who can enter competently into positions of teaching and educational leadership, civic responsibility, and national service. The personal and professional development of students is accomplished by emphasizing excellence and continuous innovation in quality undergraduate, graduate, and professional programs. 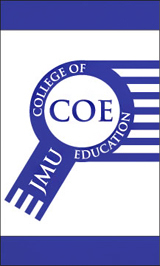 James Madison University’s College of Education is distinguished through faculty and student achievements, academic rigor, excellence in teaching, student and faculty interactions and relationships, technological innovations, and national recognitions. The College maintains relevance through active and growing interactions with other colleges within the University and with local, state, regional, national, and international communities. The undergraduate and graduate education programs are accredited by the National Council for Accreditation of Teacher Education and the Virginia State Board of Education. To educate men and women for the multiple professions included in the college at both the undergraduate and graduate levels, not merely by transmitting skills and knowledge but by stimulating creativity, developing cognitive abilities and encouraging the testing of hypotheses and reinterpretation of the human experience. To encourage a balanced faculty orientation toward teaching, research, scholarship, and community service and professionalism that recognizes individual strengths and preferences of the college’s faculty. To anticipate societal needs and provide necessary resources for implementing effective off-campus programs now and in the future. The college has undergraduate and graduate programs that are designed to lead to majors and minors in interdisciplinary liberal studies, teaching, educational leadership, adult education, military science, and individualized study. The college is organized into the School of Education, the Department of Military Science, and the Adult Degree Program. Educated and enlightened Professionals who value civic responsibility and social justice and who demonstrate leadership for positive cultural transformation. These professionals inspire others to improve schools, agencies and organizations and to engage all learners in reflection, discovery, renewal and transformation. Performance-focused Programs grounded in inquiry and evidence-based methodologies that leverage educational technologies for learning. Collaborative Partner Relationships that enhance programs and practice and develop and inform policy. Informed Participants who value the diversity in people and perspectives. "The school is nationally recognized for its academics. U.S. News & World Report has ranked JMU as the top public masters-level university in the South (3rd overall) for 16 consecutive years, and among public colleges Forbes.com ranks JMU 22nd in the nation. The University is also ranked 22nd overall in value for money in the nation amongst public colleges and universities, according to Kiplinger Magazine's 100 Best Values in Public Colleges. According to BusinessWeek magazine in its 2011 ranking of undergraduate colleges of business, JMU's undergraduate business school is ranked 28th in the nation, and 3rd in Virginia. 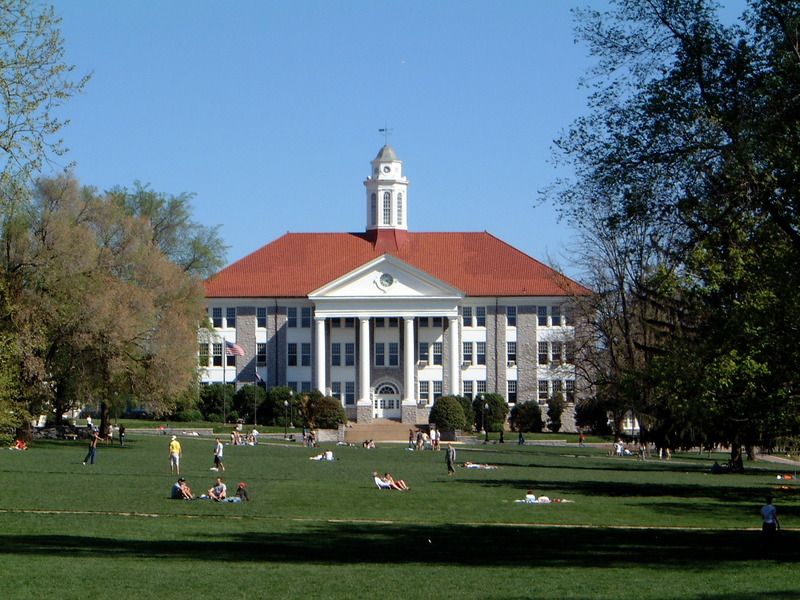 Money Magazine, in 1996 ranked JMU 5th in the nation for best value among in-state students. Princeton Review, in its 2007 rankings, called JMU one of "America's Best Value Colleges". And in 2010, the food at JMU was ranked number 3 in the nation."